Committees have been busy in recent weeks to plan activities for region members to enjoy their Porsches and renew or make new acquaintances in 2011. In this issue you can read about all of the activities that are set for April and May, from autocross to tech sessions, casual dinners to driver education. You can also check the region calendar on the website, www.porschepark.org for events already planned for June and beyond. Read on and plan to join us. Here's the line up for April and May. April 7 – Board meeting. New location for this month only. Details here. April 8 Friday Fish fry (or another tasty menu option). This is a casual dinner at the Thunder Bay Grille in Pewaukee, just off i-94 in Waukesha County. Everyone pays his or her own bill. RSVP by April 5. Don't delay. Details here including how to RSVP and to see the menu choices that are available. April 9 – Tech session on drivers education (DE). Hosted by CS Motorsports at their facility in Lannon, this is a session for those who have wondered what DE is all about as well as those who want to hone their knowledge. In addition to the expertise that will be shared by our Chief Driving Instructor Ron Pace and other seasoned DE drivers in our region, John Ruther of Northstar will be on hand with a variety of safety equipment and Peter Sygieda of porscheracer.com will bring a Porsche race car simulator. We will have a contest. Fastest lap on the simulator featuring the Road America course will win a free DE tech inspection, compliments of CS Motorsports. Full details here. April 23 - Swap meet in Central Pennsylvania. The Central PA Region of PCA is hosting an all-Porsche swap meet. If you're restoring a Porsche or just need a few spare parts, this might be worth the trip east. Details here. April 30 – Casual car show at the VA Center. For the last several years we've brought our Porsches out to the VA Center on 50th and W. National Ave., in Milwaukee (near Miller Park) and displayed them for veterans and staff at the center to enjoy. Plan to join us. We'd love to have a large array of models and years. You'll enjoy the conversations with the veterans and with other members who participate. Details here. May 1 – Cars and Coffee. This is not a region-sponsored event but it is hosted by region member Jurgen Rott. The event is in Lake Mills. Details here. May 5 – Board meeting. Brew City Grill. Details here. Check the region calendar before each monthly board meeting to ensure you have the up-to-date information on meeting location as the board is looking to hold the meeting in other locations. May 6 -7 Hallenbeck Drive into Spring DE at Road America. Details here including the link to online registration. May 7 – Drive to the track, track tour and dinner. A group will be departing from the greater Milwaukee area in the afternoon to drive in a follow-the-leader style route, with region member Jeff Cowie in the lead. The group will be heading to Road America to spend a little time watching region members in the driver education (DE) event that our region is hosting. During a break in the DE action, you can take your Porsche onto the track and drive at controlled speeds (not to exceed 60 mph). Later, the group will be enjoying dinner (pay your own bill) at the fabulous Lake Street Cafe in Elkhart Lake. You can do all three of these activities --the drive, the tour on the track and the dinner -- or any one or two. April 30 is absolute deadline for this event and we need your RSVP if you plan to do one or more of these activities. Details here. May 14 – Porsches in New Glarus. This is a courtesy announcement. Participate in a car show in New Glarus, Wis. Details here. May 21 – Paint care for your Porsche – a tech session. The weather will be warmer and you may want to do some touch up on your car's finish. Learn how to do this from expert and fellow region member Dave Zimmer. Visit this link to learn about this event. May 22 – Intro to autocross in the morning for new comers, plus a full autocross in the afternoon for everyone. This event, in the parking area at State Fair Park in West Allis, offers an introductory session for those who are new to autocross. Plus, there's a regular competitive autocross in the afternoon. Details about the intro session as well as the competitive session are available here. The social committee met in early March and decided that since according to committee member Paul Stewart “we all like to eat” and “we like to get together to talk about Porsches,” it would be fun to plan a dinner, lunch or breakfast get together at different area restaurants each month. Perhaps you can’t make every session but we’re hoping you can get to at least a couple. Thanks to the many members of the committee who have adopted a month and are in the process of finalizing their plans. We can expect to try out some new restaurants as well as some favorites. Watch the website calendar for updates. The first event of this type, by the way, is Friday, April 8, organized by committee member Donna Daufenbach. See listing in the Upcoming Events above for information about the April dinner at Thunder Bay Grille. Congratulations to these Milwaukee Region members who are observing a membership anniversary in April. In March the Milwaukee Region gained what we believe is our longest-distance member. Jim Hudson and his wife Min Cha live in Seoul, Korea and their Maltese named Bobo transferred from the Loma Prieta Region. Jim says that while he will “never have a chance of meeting you wonderful Brewski Brat Cheesehead and Porsche Lovers,” at least he will be able to find out what is going on in Wisconsin. Jim is a retired pilot. He lived in Milwaukee from 1946 to 1952. He attended UW-Whitewater (it was called Wisconsin State University-Whitewater then). His daily driver in Seoul is a Guards Red 2005 997, tweaked to 345 h.p. Jim also owned a 1959 Healey 100-6, a 1963 Healey 3000 and a 1995 Tiburon. Jim signed his email message: "As old pilots say, 'keep the greasy side down.' "
Porsche sales in March best March since 2007 - Porsche sales in North America rallied in March, registering the best March since 2007. Read the report here. Parade 2011 is in historic Savannah, Ga., this year. Read what Parade is all about here. Rennsport Reunion set for West Coast in October. Rennsport is one of those gatherings that every Porsche owner should attend at least once, according to those who have attended it. 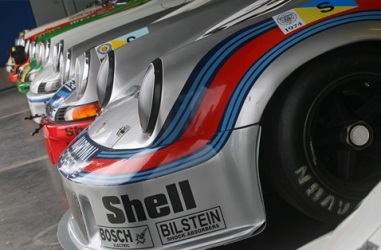 Read the details about the 2011 Rennsport Reunion here. Porsche is taking sales orders for the 918 Spyder Hybrid. Read about it here. Keep your membership up to date on the PCA website. Members should check their membership record to ensure that PCA has your correct email address, home mailing address and the name of your affiliate or family member. We use PCA's membership database and emailing system to send emails to you and PCA uses the same database to send you the monthly national magazine, Panorama. Don't lose contact because of missing or incorrect data. Ensure your record is accurate. Classifieds. Read the classifieds online here. Details about autocross. Read the Autocross events page here for comprehensive information about autocross and the three events we have schedule for this year. Details about drivers education. Read the Drivers Education events page here for comprehensive information about driver education and the events we have planned for the year. Contact us – You're invited to contact board members and committee chairs with your questions or comments. Contact list here.